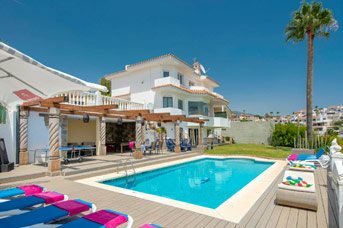 Cosmopolitan Fuengirola is a big, busy, sophisticated Spanish seaside town that is hugely popular with visitors who are particularly keen on the resort’s whopping eight kilometres of sandy beach. There is a full range of water sports to choose from, plenty of sun loungers and parasols to add a degree of comfort, and some attractive little chiringuitos – beach shacks – serving fresh food and cold drinks to keep you going till the evening. The holiday resort offers great shopping and dining, the attractive yacht-filled marina is a great spot for both these activities as well as watching the Beautiful People at play. There are theme parks and water parks in the area, and one of the best of these is Tivoli World. Part show, part vast amusement park, this makes a big day out in a beautiful setting. It is a world within a world with its own currency, a train to help you get around, and more than forty rides as well as go-karts, bumper cars and Tiny Town for tots. There are three purpose-built theatres with mini discos, magic shows and very popular flamenco shows throughout the day – great when you need a rest!Cosmopolitan Fuengirola is a big, busy, sophisticated Spanish seaside town that is hugely popular with visitors who are particularly keen on the resort’s whopping eight kilometres of sandy beach. There is a full range of water sports to choose from, plenty of sun loungers and parasols to add a degree of comfort, and some attractive little chiringuitos – beach shacks – serving fresh food and cold drinks to keep you going till the evening. The holiday resort offers great shopping and dining, the attractive yacht-filled marina is a great spot for both these activities as well as watching the Beautiful People at play. There are theme parks and water parks in the area, and one of the best of these is Tivoli World. Part show, part vast amusement park, this makes a big day out in a beautiful setting. It is a world within a world with its own currency, a train to help you get around, and more than forty rides as well as go-karts, bumper cars and Tiny Town for tots. There are three purpose-built theatres with mini discos, magic shows and very popular flamenco shows throughout the day – great when you need a rest! If you love hunting for bargains, you will really appreciate the Feria Market - Saturday’s flea market in Los Boliches. Held on the "feria" or fairground it’s a great place to bag an inexpensive holiday souvenir. This is a massive affair with 500 stalls representing almost every country in Europe. It is a car-boot, bargain basement sort of market, selling second hand clothing, old furniture, antiques and collectibles. There is also a good range of handmade arts and crafts. You will find people from England, Ireland, Sweden, Norway, France, Germany, Holland, Belgium, Morocco (even Spain!) selling interesting items from their own countries, so you never know what you will find. Sohail Castle is a former Arabic fortress on the sea front at Fuengirola and has become the symbol of the city. It was built on the orders of Abd-al-Rahman III in the 10th century. With its powerful square towers and unmistakable silhouette, this landmark castle had a long and turbulent past before it was finally abandoned and left to rot. However, restoration began in 1989, and now that the process has been completed, it is a great focus of civic pride and a major tourist attraction, for those fit enough to climb all the stairs to get inside. As well as an important monument, it also houses a remarkable open-air auditorium and a small museum. In the summer the castle hosts a programme of open air concerts and festivals. 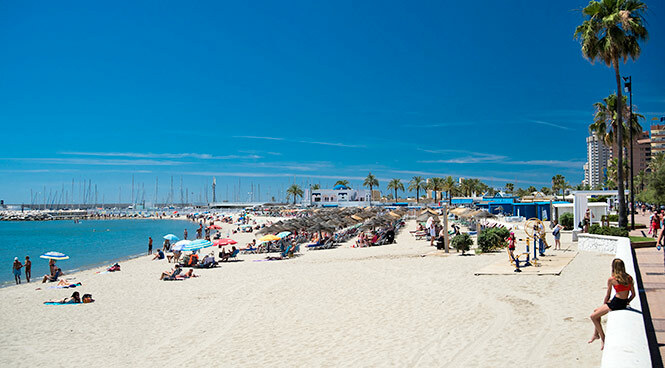 If you fancy a day out somewhere, Marbella and Mijas can be reached by bus or you can get to Torremolinos by train. Calle San Miguel, an attractive pedestrianised street, is the best place to start a shopping trip in Torremolinos. The street is lined with small shops, cafes and bars, as well as department stores, speciality shops selling local jewellery, leather goods and the famous Spanish Lladro porcelain, as well as high street names you will recognise. In this area you will find international clothes stores and designer boutiques as well as many souvenir shops. If you want a more authentically Spanish shopping experience, head to the bustling Thursday morning market in the El Calvario, where you will find local produce and arts and craft stalls. There is also an interesting flea market here on Sundays. There is an even greater choice of shops in Marbella.